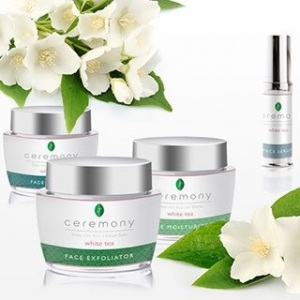 The Ceremony skincare range is an extension of our commitment to holistic beauty principles. 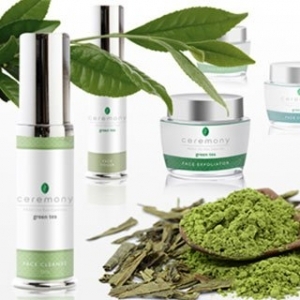 We have worked hard to craft and formulate 100% natural and organic skincare products to benefit women with all skin types, harnessing the highest quality Japanese Green and White tea as the cornerstone of our skincare line. Scientific research provides conclusive evidence that the antioxidants, catechins and tannins in tea can provide considerable benefits when consumed internally and applied topically to the skin. White tea on the other hand is less processed than green tea and thus has the higher catechin levels and higher antioxidant value. Provide advanced protection from sun damage. Aside from the obvious skincare benefits, you will not find any synthetics, parabens or other harmful ingredients in any of our products.